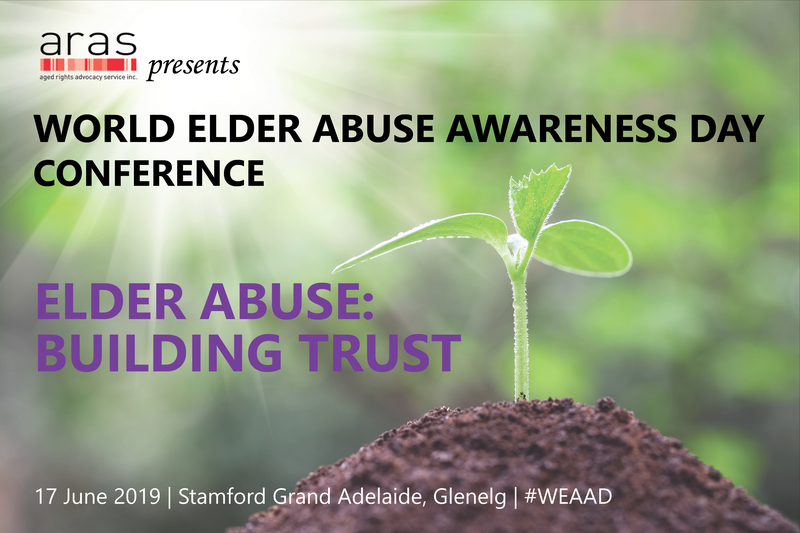 ARAS has raised awareness about elder abuse through its annual state WEAAD Conference since 2006 and also hosted the 2013 National WEAAD Conference in Adelaide. Our vision is a community in which all older people are valued and respected. The conference theme ‘building trust’ includes our values of integrity, inclusiveness, justice and respect. In the current rapidly evolving area of elder abuse, the conference brings together key stakeholders to focus on the latest information, actions and how you can be an active participant within your community. Approximately 200 people participate in the annual Conference which has consistently attracted high praise for its relevance and interesting subject matter and the calibre of its national and international speakers. Conference bag inserts of Sponsors’ promotional items.